You voted for the nickname, you voted for the crest and now over 2,000 of you have voted for this winning design. 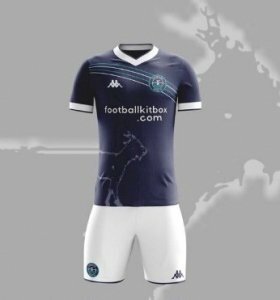 Available as a “once only” offer, we will be getting the kits made up for the team, so if you want your very own Caversham shirt, sign up today. Sizes available from small to 2XL. Price is €44.99 including free delivery. A donation to Balls To Cancer will be made with each purchase.